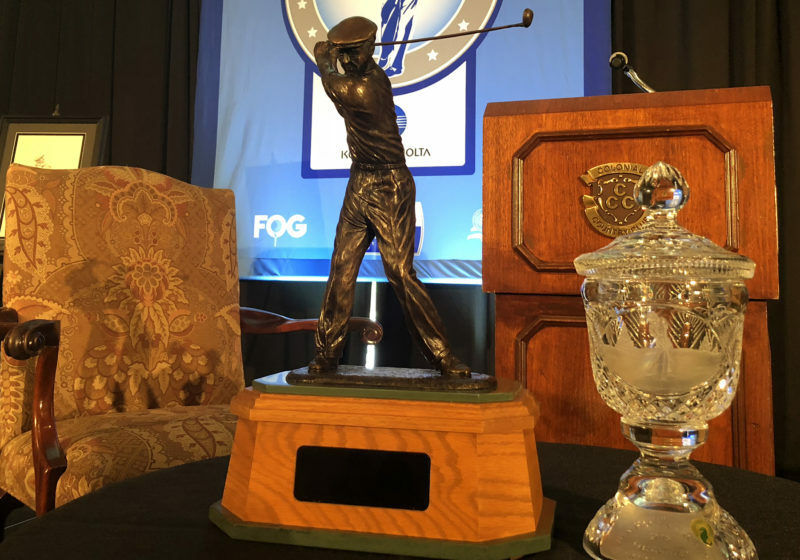 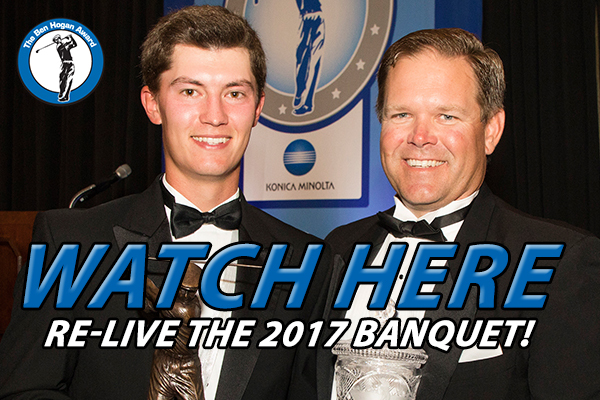 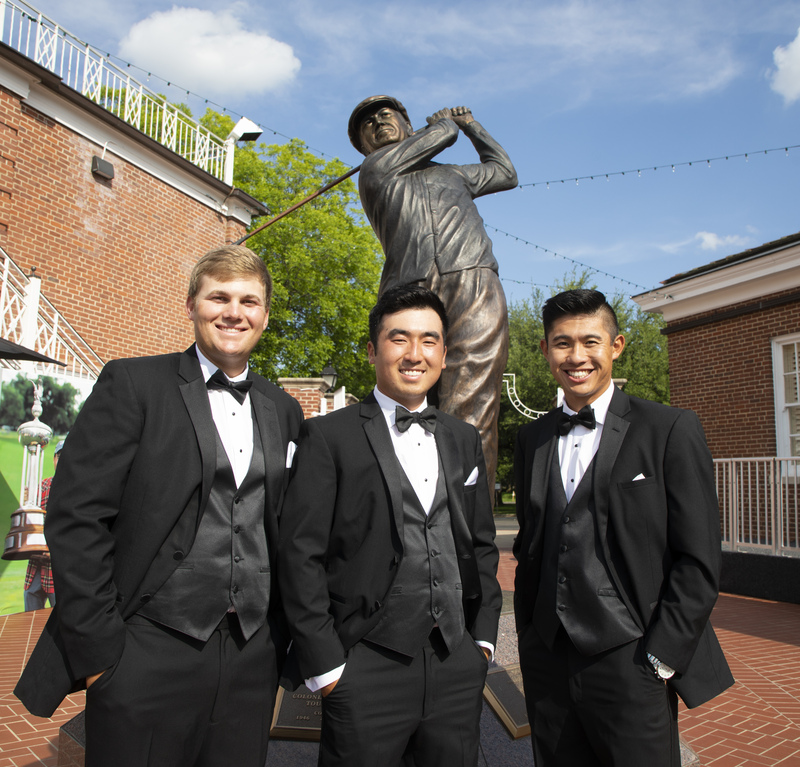 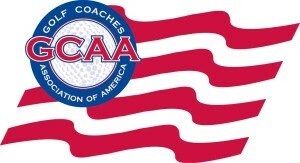 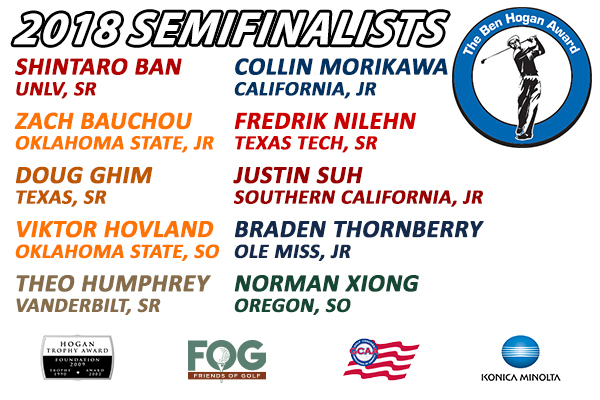 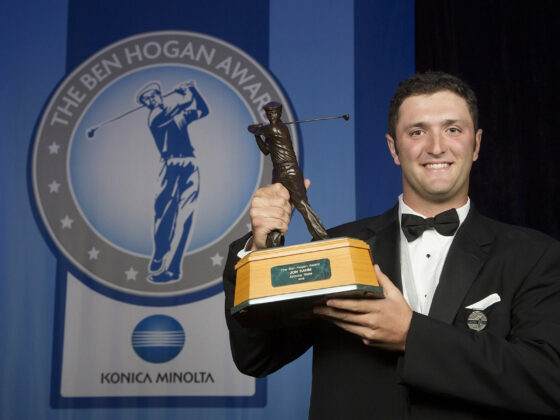 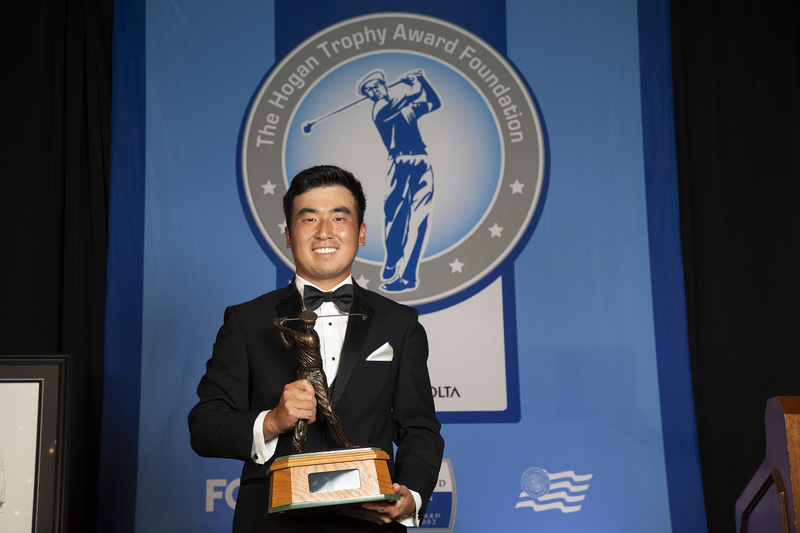 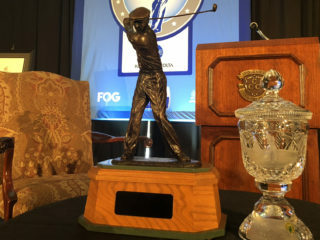 FORT WORTH, Texas (Feb. 13, 2019) – Twenty-eight of the nation’s most accomplished collegiate golfers have been named to the 2019 Ben Hogan Award Watch List, according to a joint announcement made by the Hogan Trophy Award Foundation, the Friends of Golf (FOG) and the Golf Coaches Association of America (GCAA). 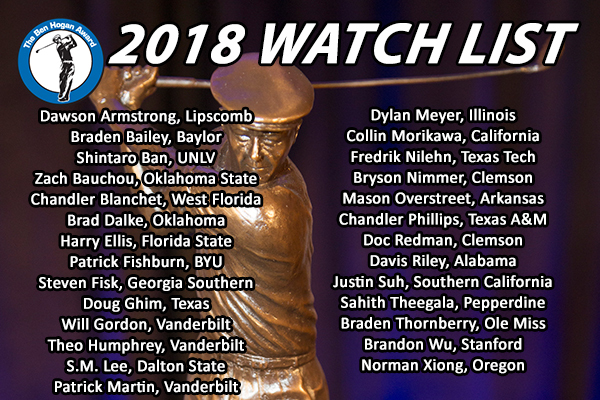 A total of 23 colleges and universities are represented on the watch list. 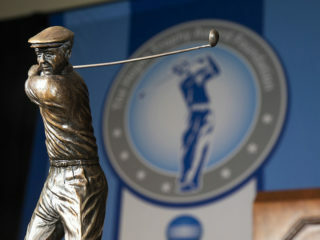 Four schools—Oklahoma State (3), Duke (2), Georgia Tech (2) and Stanford (2)—have multiple honorees.